In a medium saucepan over medium heat, combine whole milk and Parmesan. When cheese is melted, add cream cheese, garlic, and red pepper flakes and season with salt and pepper. Cook until cream cheese is melted and mixture is slightly thickened, about 4 minutes. 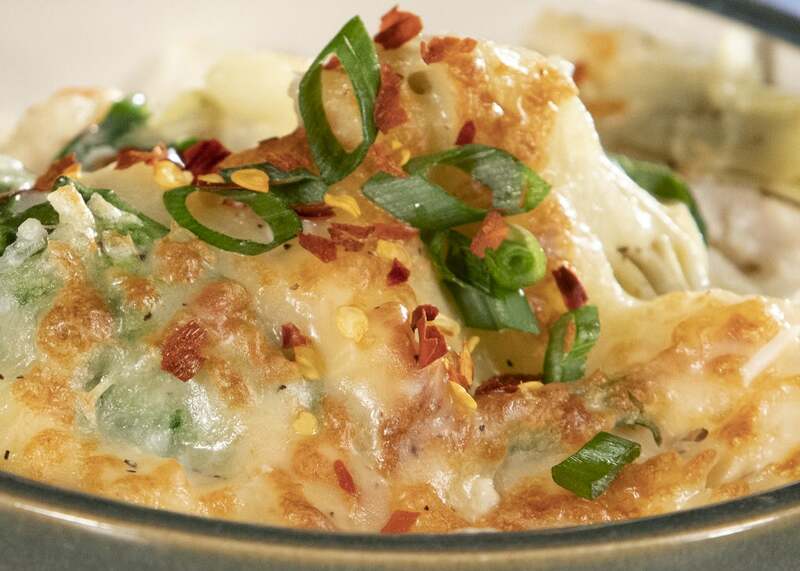 In a large bowl, stir together cooked rice, chicken, spinach, artichoke hearts, 1 cup mozzarella, and cream cheese mixture and transfer to a 9″-x-13″ baking dish. Top with remaining cheese and bake until cheese is melted.